7-0: It’s collegiate tennis’s equivalent to baseball’s complete game shutout or a masterful evening from a hockey goalie saving everything from wrist shots to Private Ryan. 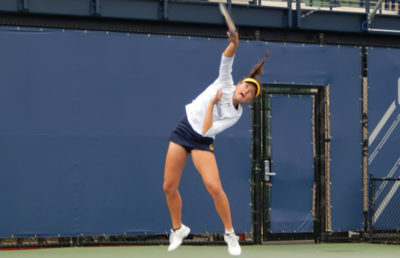 It took a little longer than expected for the Cal women’s tennis team to get its shot at another 7-0 match win, but after a rain delay that left its showdown with Utah undecided overnight, the Bears came out and delivered Sunday morning. Two weeks ago, Cal handled USC on the front end of a back-to-back by the same score. Sunday’s wire-to-wire victory came on the heels of a 4-2 win against Colorado on Friday, making the Bears a winner in three of their past four matches — all against Pac-12 teams. While freshmen Anna Bright and Julia Rosenqvist have been garnering attention over the past few weeks, it was freshman Vivian Glozman who stole the show against the Buffaloes and Utes. Throughout the fall and spring, Glozman has acted as a flexible player, pairing with four different teammates in doubles. Competing on court No. 4 this weekend, the Washington native held her own against Colorado senior Louise Ronaldson and Utah junior Taylor Calton. 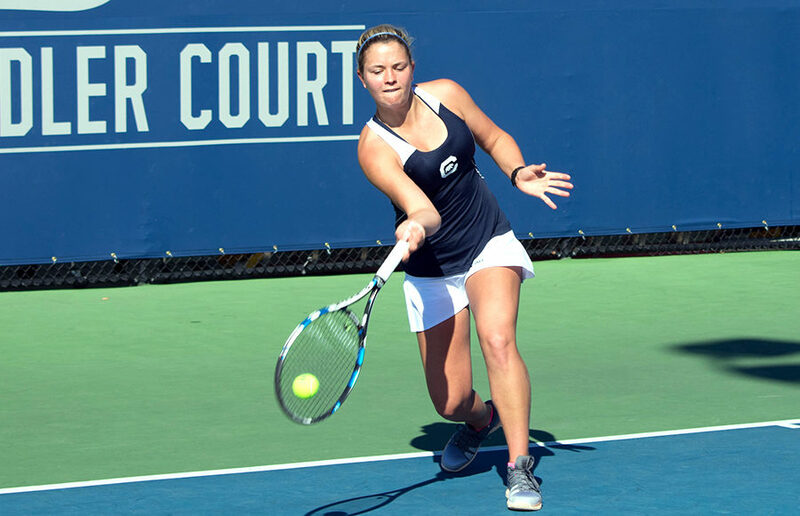 Both of Glozman’s wins clinched Cal’s matches, extending its record to 7-5 on the spring season. But Glozman wasn’t the only freshman putting her stamp on this weekend’s singles matches. With Rosenqvist sitting, the No. 35-ranked Bright took over the Hellman Tennis Complex’s court No. 1, defeating No. 113-ranked Colorado freshman Linda Huang, 6-4, 6-1. It was a solid bounce back performance from Bright, who had struggled against UCLA’s top hitters last weekend. Bright currently holds one of four ranked singles slots occupied by a Cal player, joining junior Olivia Hauger (No. 32), senior Karla Popovic (No. 63) and Rosenqvist (No. 68) as Bears vying for individual postseason berths. One thing’s for sure — wins against Huang and other ranked opponents are resume boosters. With Popovic and Rosenqvist inactive, Hauger took care of business on court No. 2 against Colorado sophomore Chloe Hule, overpowering Hule to the tune of a 6-2, 6-1 win. Prior to Saturday’s rain delay, Hauger teamed with fellow junior Maria Smith for a hard-fought victory in doubles over Calton and Utes sophomore Whitney Turley. Freshman Hana Mraz and Jasie Dunk sealed the shutout down the stretch on courts No. 5 and 6, as the pair of freshmen bounced back from losses Friday. With a two-week hiatus now in session until the Bears’ next match, here’s to hoping that Cal’s lineup can maintain its current form.